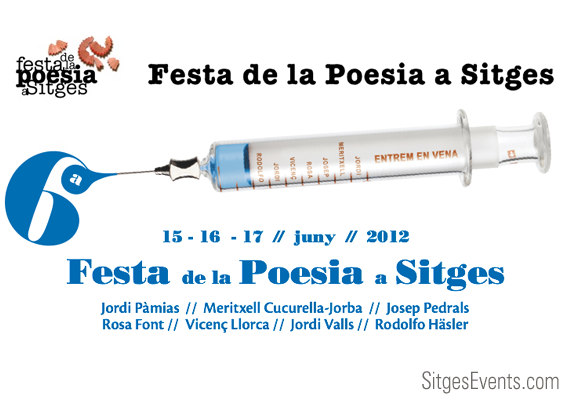 Poetry Festival in Sitges arrives, this 2012, in its sixth edition. The mixture of homage, celebration, and poetry sitgetanisme when this event has become genuine. The seven invited poets come as organizers say the festival, “In Vein” through the syringe, the poster image (like that in the last five years is the work of designers and Edu Sentis Viki Gallardo, the company Sitges Pasgràfic). A syringe magic, metaphysics and emotional. Symbol of a bridge between the exterior and interior. The poets will enter the streets and spaces of the town to remind us that poetry exists. The goal is, once again, to value this kind and grateful to the poets for their dedication to an art often unknown. Long renowned poets and seven very different people but with the virtue of common humanity and authenticity. They are the Catalan Jordi Pàmias, Vicente Llorca, Rosa Font Massot, Joseph Pedrals, Meritxell Cucurella-Jorba, Jordi Valls and the poet Rodolfo Santiago de Cuba Hasler. Since its inception, the Festival of Poetry in Sitges is designed and directed by poets Joan Duran and Celia Sanchez-Ferrer and Mústich. 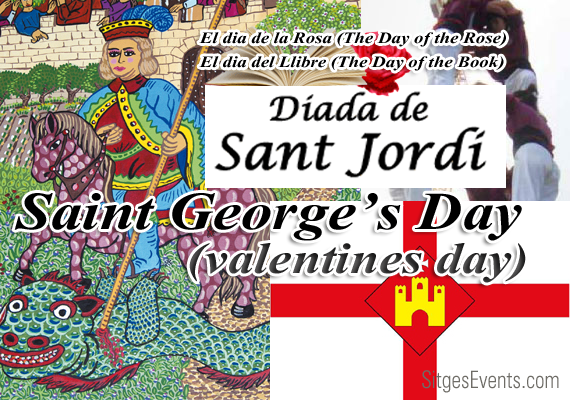 The Palau Maricel, the Miramar Building, the local Society for the Recreational Retreat and the Palau del Rey Moro, their dances of the Association of Sitges, will, together with the streets of the town, the scene of several acts of the Festival. 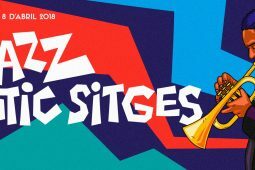 The Festival of Poetry has the support of the city of Sitges, the Recreational Society of El Retiro, the Consortium Sitges Heritage and complicity among others, of the Institute of Catalan Letters. The Festival of Poetry, for the first time, has financed part of its spending through micromecenatge. Halfway down, drink to the Recreational Society Retreat. Party, published by Books of Terramar. David Cano and Solé Star. poets from the more playful side and sensory. students of the school Art-Music-Express. Dinner at the Cava del Retiro for poets and artists. Corretgé based on texts of the seven poets invited. Heritage and Recreational Society of El Retiro. various moments of the festival. Edu Sentis and Viki Gallardo (Pasgràfic). confegida with book titles of the seven poets. A mig camí, refresc a la Societat Recreativa el Retiro. Festa, editat per Llibres de Terramar. David Caño i Estel Solé . els poetes des del vessant més lúdic i sensorial. dels alumnes de l’escola Music-Express-Art. cursos de Català de Sitges. Sopar a la Cava del Retiro per als poetes i artistes. Dinar dels Poetes al Retiro. Corretgé, basada en textos dels set poetes convidats. Antoni Sella i Vinyet Panyella. Patrimoni i de la Societat Recreativa El Retiro. diversos moments de la Festa. d’Edu Sentís i Viki Gallardo (Pasgràfic). confegida amb títols de llibres dels set poetes.